In 1968, AMC showed an electric car, the Armitron, a three passenger vehicle powered by Lithium-Nickel batteries. To save weight and provide more hauling room, the seats were inflatable. 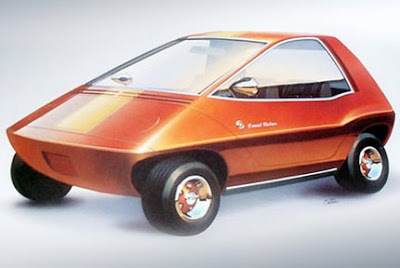 With subtle styling changes the Armitron was shown again as the Electron in 1979 as part of AMC's Concept 80 show, featuring four other forward looking prototypes. This car was obviously the wave of the future.